Event Description: An exciting neighborhood for your next corporate team-building event, Nashville is a modern city with a traditional feeling, home to great food, museums and, of course, country music in all its forms. Location History: Founded as Fort Nashborough in 1779-80, Nashville was long the domain and hunting ground of indigenous native peoples; the first white men coming to the area were French fur traders, establishing a trading post around 1717. By 1843, Nashville was the state capitol, and 30 years later, the Battle of Nashville, fought in 1864, was the last aggressive action of the Confederate Army of Tennessee. In the decades following the war, Nashville experienced a growth in population, business and industry, and education. 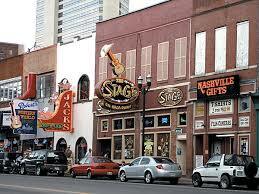 Another area of growth, country music, has grown to the point that Nashville today is known as Music City, USA. During your corporate teambuilding treasure hunt…expect to encounter a life-size Elvis statue; the Johnny Cash museum; the Grand Ole Opry; Andrew Jackson’s office; a museum of chocolates, and many more surprises.